I am ALL about Greek food in any form and since I've been trying to cut back on carbs lately, this Greek salad hit the spot! There is so much flavor in this salad and it's really good for you, too. This Greek Yogurt Vinaigrette was unlike anything I've ever had before and it tasted perfect with the seasoned chicken. It was so easy to make, too. Just shake in a jar and it's done! If you need a perfect meal for summer that doesn't involve turning your oven on, this is it! Your family and friends will love this. 1. Combine garlic, lemon zest, oil, garlic powder, onion powder, oregano, pepper and dill in a medium bowl. Place chicken in bowl and coat with marinade. Refrigerate and marinate at least an hour. 2. To grill chicken, heat grill and cook about 5-10 minutes per side, until juices run clear and the chicken reaches an internal temperature of 165 degrees F. Remove from grill and allow to rest at least 5 minutes. 3. Slice and set aside. 1. Place all the ingredients in a pint glass jar. 2. 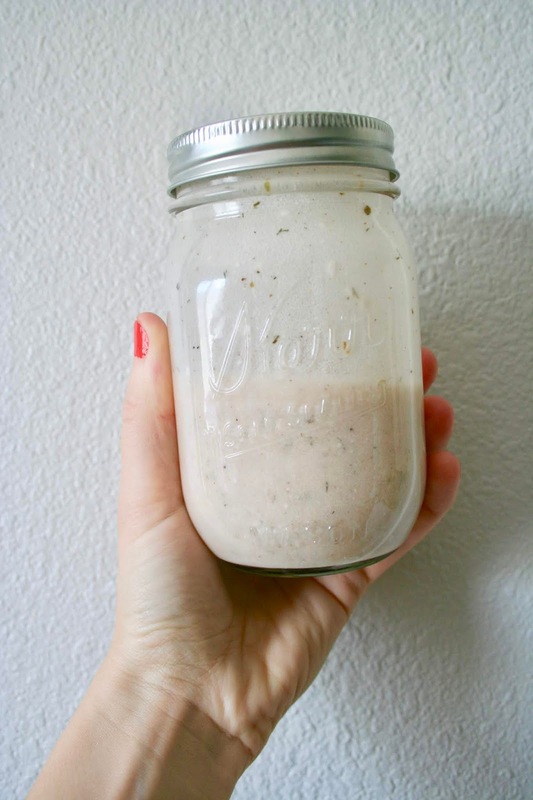 Seal the jar and shake vigorously until emulsified, about 30 seconds. 3. Use immediately or refrigerate up to 1 week, shaking to emulsify again before use. 1. 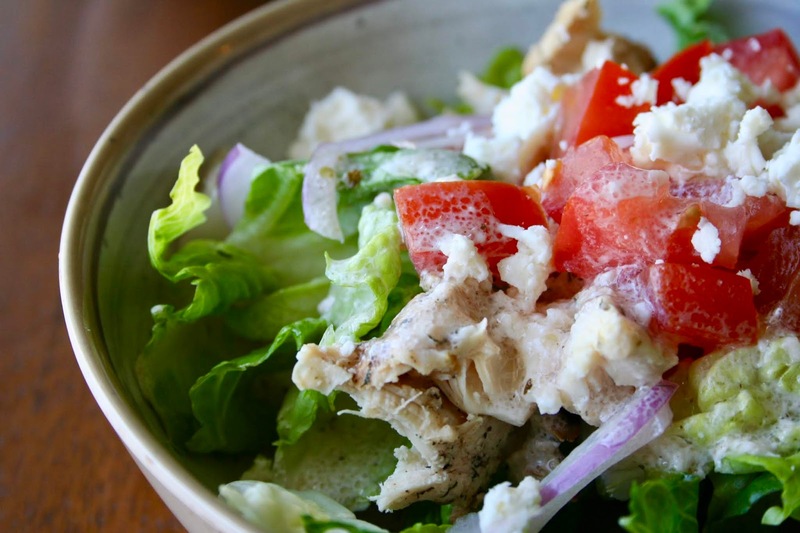 Place lettuce, cucumber, onion, tomato and feta in a large serving bowl and toss to combine. 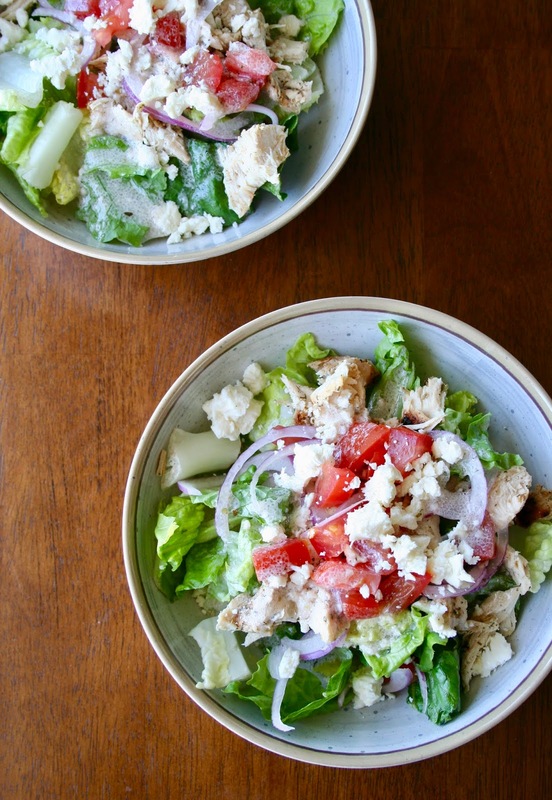 Serve with grilled chicken slices and vinaigrette dressing in individual bowls.